Weddings held at Brigalias are simply amazing and beautiful. Every reception room is beautifully decorated. The banquet rooms are breathtaking and they are elegant and charming. Brigalias is family owned and operated, they are a full service banquet facility with 35 years experience in making wedding dreams a reality. Brigalias features indoor and outdoor facilities combined with superior, attentive service. From romantic indoor ceremonies to breathtaking outdoor ceremonies, they have the facilities to fulfill every wish. Their ballrooms accommodate up to 300 guests or provide a more intimate setting for smaller parties. We find their venue so inviting and beautiful that on this particular wedding day, it was raining so we ended up photographing the couples first look in the ballroom. Again, it was a beautiful and fun moment for the bride and groom. 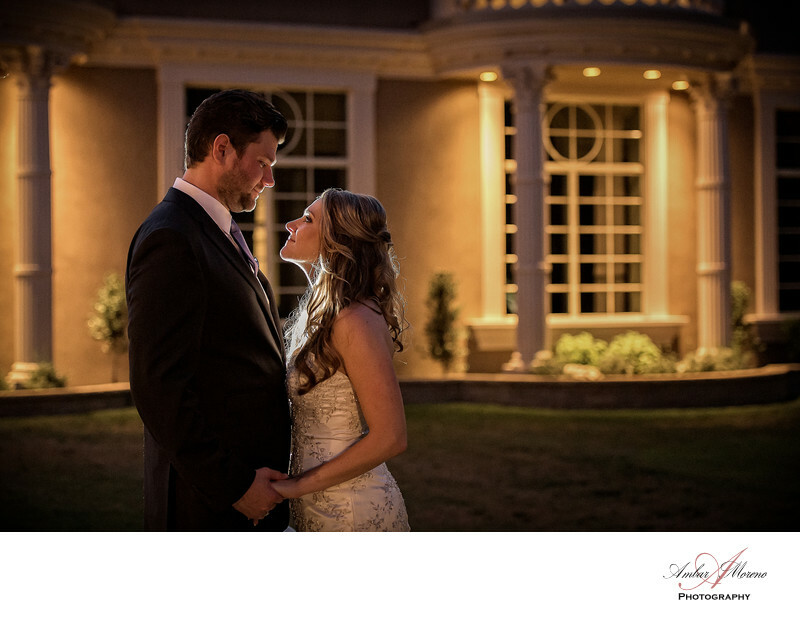 They enjoyed a playful moment as we photographed them outside in front of the Chapel. Brigalias located in Sicklerville, NJ is a beautiful and gorgeous venue nestled within the woods and centrally located in South Jersey. Its a wedding venue that I personally have photographed dozens of weddings through the years. There are so many wonderful and spectacular locations throughout the venue for day and evening photographs. Brigalias have captured the essence of romance when they decorated their property. The staff is friendly and always eager to make a wedding extra special. Location: 396 Williamstown Rd, Sicklerville, NJ. Keywords: Brigalias (36), Sicklerville (36).